While learning about the phrase I a au - While I was via the Huriwhero story (Little Red Riding Hood), the activity lesson at the end of the module was as such. 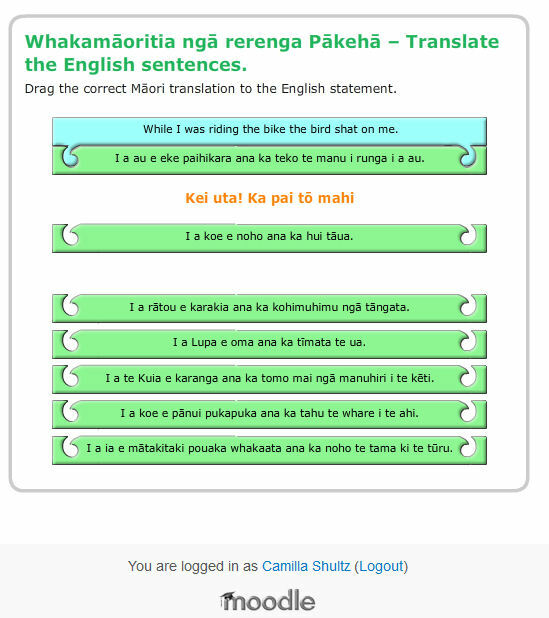 Of course they'd put such a word in a Maori lesson. Imagine if it were proper vocab in Nurses reports. Or better yet .. in a Business context. She gave her presentation and they shat on her. I could only roll my eyes and laugh about it.